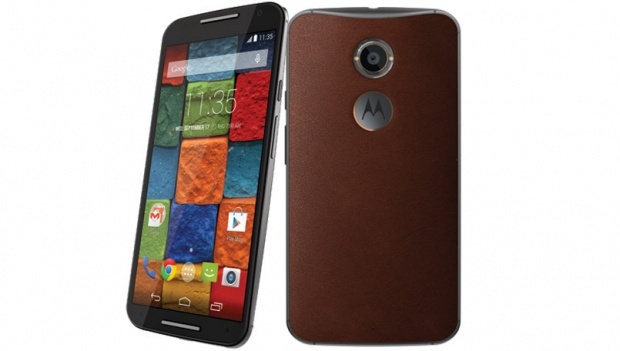 It seems that Motorola has recently launched a new variant of the popular second-gen Moto X on Flipkart. Priced at Rs 25,999, the new variant is called 'Cognac' which actually means a colour shade and also a variety of brandy. The handset colour according to the Flipkart product description is Cognac Leather and by looking at the photos, it seems to be the best looking of all leather variants launched so far from Motorola. The new Cognac Leather Variant of the Moto X comes with a 32 GB in-built space and priced Rs 1,000 more than the regular 32 GB variants. Additionally, Flipkart is offering an exchange offer on the Moto X which can get you a Moto X Cognac Leather Variant for as low as Rs 20,999. Speaking about the technical specifications of the Cognac Variant Moto X, it comes with 5.2 inch display, 2 MP secondary camera, 13 MP front camera, 2.5 GHz Qualcomm Snapdragon QUad Core Processor, Dual Ring LED Flash and 2 GB RAM much like other Moto X models. The smartphone is also said to be upgraded to Android Lollipop via OTA.